The best thing about having little ones is that special day every year in May where you get spoilt with cuddles, breakfast in bed (or at a café) and gifts. I am looking forward to Mother's Day this year with my two little monkeys! Mother's Day is falling on Sunday 8th May this year and thanks to Smash Enterprises I am giving away two great products from their new Love Mum collection. 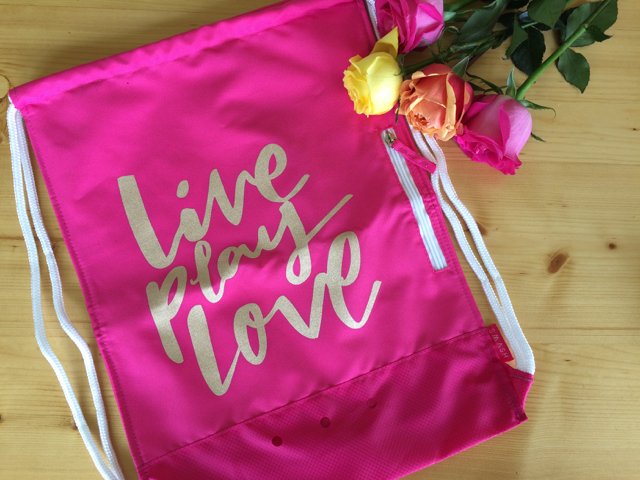 Smash Enterprises are releasing the Love Mum Collection this year which has a Gym Bag (shown below), a Cosmetic Bag (shown above in green pastel), a Lunch Bag to keep your sandwich cool (shown above in pink) as well as a Shopping bag and Umbrella gift set (shown above). The beauty about these gifts - they can be used every day of the year! Love the great colours in this new collection both the bright and pastel pinks are my favourite! To celebrate Mother's Day, I am giving away one of these awesome gym bags as well as one of the green pastel cosmetic bags to go with which will be perfect for a trip to the gym! To win these two gifts (that you can either gift yourself or gift to your mum), all you have to do is subscribe to our newsletter and write a quick comment below to let us know you are keen! Good luck! Entries close Friday 22nd of April at 5PM AEST. Entries open to NSW and VIC residents only. Smash's Love Mum collection is available exclusively at Coles from the 18th of April 2016.